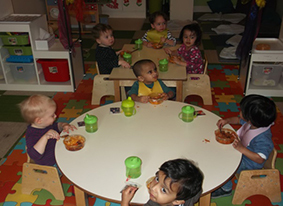 At Hugs and Giggles Nursery, Harrow we see mealtimes as an important social activity, Staff sit with children for meals to promote good table manners. It is also an opportunity to discuss the day, and their thoughts of the morning activities. 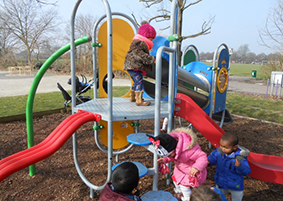 Staff use the information in planning future activities and experiences for the children. 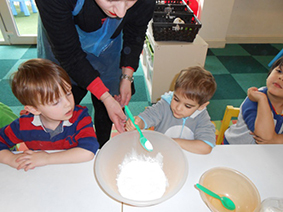 Where possible, we will aim to cater for all allergies and dietary requirements. This may include intolerances to ingredients, religious food regulations or anaphylactic allergies. 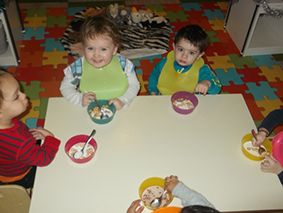 The children are encouraged to serve meals and help out whenever possible. 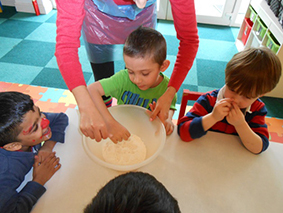 Children can see the kitchen from an opening where fresh fruit and vegetables are displayed on a daily basis. 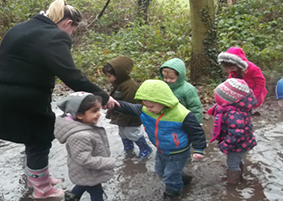 One of our aims is to have children understand the importance of not only healthy eating but also a healthy lifestyle; this includes exploring our outdoor space and the environment around us. 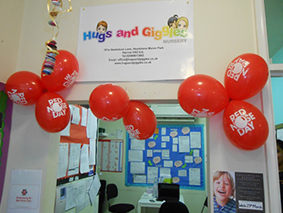 Hugs and giggles nursery is constantly organising exciting events for the children, staff and parents. 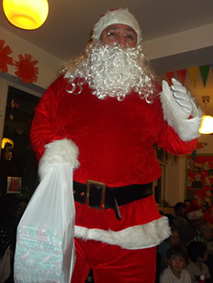 Children and staff have lots of fun creating Christmas wall displays and decorations; Father Christmas also pays us a visit where he delivers each child with a present. 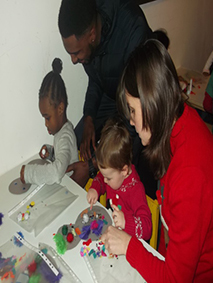 Parents are able to join in the fun by singing along with some of the children’s favorite Christmas songs, and taking part in many different Christmas arts and crafts. 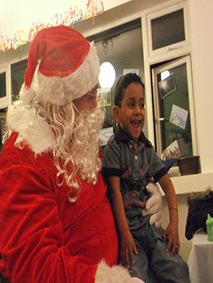 We like to fundraise for many different charities, getting parents/carers involved and raising as much money as we can for many good causes. 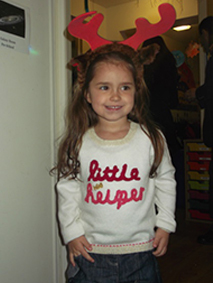 Whether it be dressing up, baking, face painting or wearing something funny for money.